Good Morning and Happy #MeatlessMonday! I love summer. I really do. I love the warm temperatures, the blue skies, and I especially love summer vegetables! If you are not a gardener, the best place to pick up your summer veggies is from your local farmer's market. We are so lucky here in the Mid-Ohio Valley to have a permanent, year round, market called The Point Park Marketplace. I could go on and on about why I love farmer's markets. At the top of the list would be how it supports not only local farmers, but the local economy as well. But, there is more to it. I love the relationship that you build with people. I love that I get calls from A.B., my meat guy, about new cuts he has on hand. How Harold messages me on Facebook to let me know what's good at his produce stand this week. 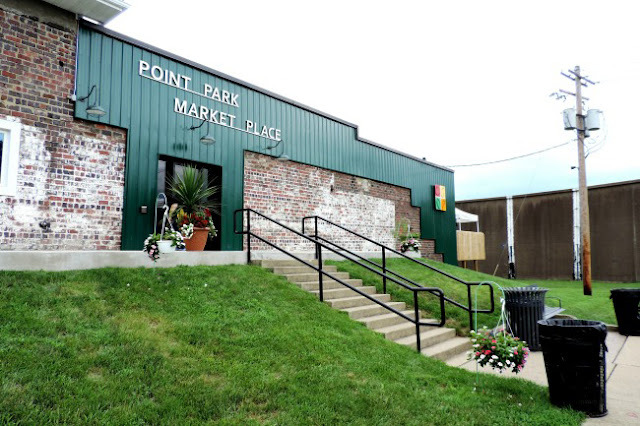 I adore walking in and being made to try all of the locally bottled olive oils one of our local wineries has on hand, and I love when Marvin is showing me all of the new West Virginia made products that he has. You see, farmer's markets are a community. That is why they are so vital. Recently I mentioned to Harold, my produce guy, that I was looking for some good okra. Wouldn't you know the very next week he brought me an entire peck of them! I was so delighted because I knew EXACTLY what I was going to make with it. Perfect Fried Okra! This really is one of my favorite summer veggies and I can't wait to show you the foolproof way to make it! To begin you will need to rinse your okra and cut it into 1 inch pieces. Next get out two shallow trays. Add the buttermilk to one. There is about 2 cups in here. And add the flour, corn meal, salt, pepper, and cayenne pepper to the other. Mix it together so that the seasoning is worked through everything. I know some people prefer just flour or just corn meal for this, but I find that if you mix the two together you get the perfect crust every time. Next place a deep skillet or Dutch Oven over medium/high heat and add 1 inch of oil to the pan. You will know that the grease is ready when you place a wooden spoon handle into the grease and it bubbles around it. While you are waiting for the grease to heat up, add some of the okra to the butter Milk. I like to let it soak for a moment. Then place the buttermilk soaked okra into the flour mixture. Toss everything around until you have a nice coating over it. Then place into the grease and fry until golden brown, about 4-5 minutes. Using a slotted spoon or a spider, remove the fried okra from the pan and place on a paper towel lined baking sheet. Perfect Fried Okra! It is beyond compare. The breading is light and crispy. The okra inside it perfectly cooked. *sigh* I can't tell you how I love this stuff! 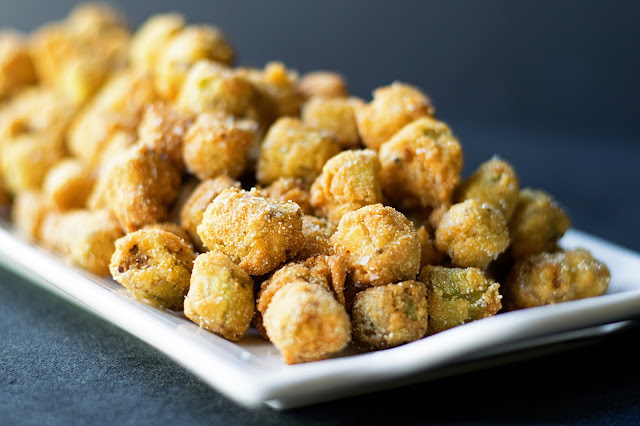 If you have never tried fried okra you NEED to put is on your summer bucket list. It is delicious and I know you are going to love it! Since you now know one of my favorite summer vegetables, I would love to hear about yours! Leave you favorite summer veg in the comments or share a picture with me on my Facebook page! 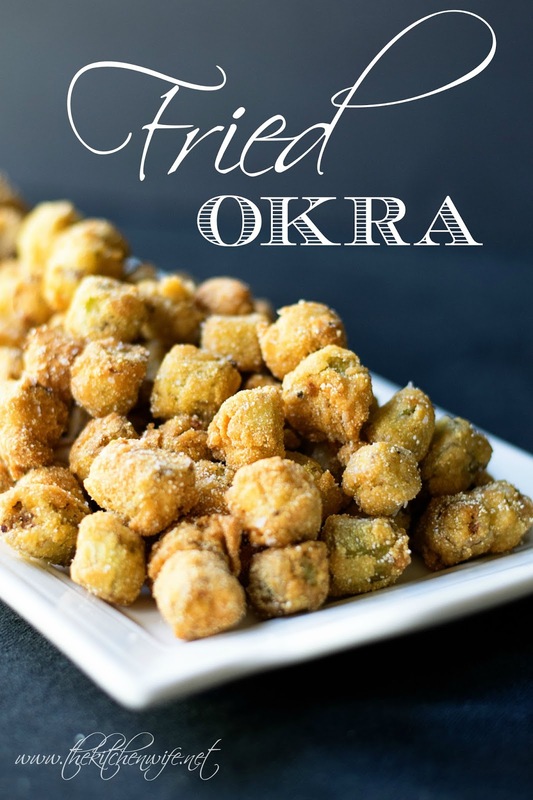 A fantastic recipe for Fried Okra that comes out perfect every time. Rinse okra and pat dry with paper towel. Cut off tops and bottoms of okra and discard. Cut the okra into half inch pieces. Place cut okra into a large mixing bowl and cover with buttermilk. Allow the okra to marinating for 5 minutes. While the okra is marinating, pour the oil into a deep skillet. Turn the heat to medium/high and allow the pan to get hot. In a shallow dish combine the flower, corn meal, salt, pepper, and cayenne. Remove the okra from the buttermilk in small batches and place into the breading. Roll around until the okra is complete coated. Shake any excess breading off and CAREFULLY add to the HOT oil. Cook for 4-5 minutes until golden brown. Once golden brown and crispy remove from he oil and place once paper towel. IMMEDIATELY season with salt. Repeat with the rest of the okra. Oh awesome Ella! I'm so glad to hear that! Thanks so much for sharing!